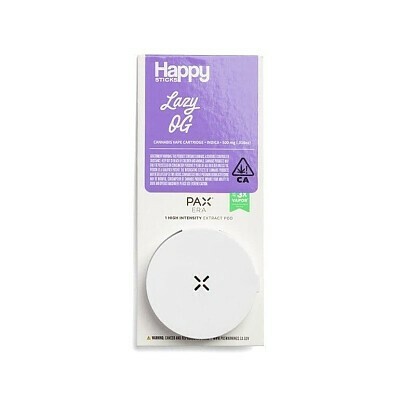 The Happy Sticks Lazy OG Pax Era Pod is a magnificent piece of technology for an irresistable Indica haze. Load the Pax Era pen with a Lazy OG Pod to enter a vortex of deep relaxation, occupied by rich lemony flavors. The Pax Era Pod is a seamless vape technology, and it's the perfect facilitator for a heavy Lazy OG sesh.